When you need a Davie Slip and Fall Attorney, call Robert Gluck at the Law Offices of Robert E. Gluck, P.A. He is highly experienced in all areas of law, especially slip and fall accidents. If you've fallen on someone's residential property or commercial property, he can assist you in getting the compensation you deserve. Since becoming a lawyer in 1989, he's helped many clients with their cases. Hire Robert Gluck as your Davie Slip and Fall Attorney as soon as possible. It's also important you seek medical attention so your medical records can be used in your case. Robert Gluck will launch a complete investigation into your claim and gather all the evidence he will need to prove your case and get your medical expenses paid for by the responsible party. 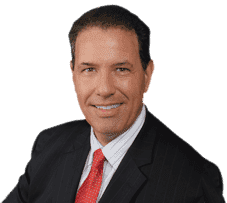 An experienced Davie Slip and Fall Attorney like Robert Gluck will know what evidence he needs to find in order to help you win your case. He will take photographs of the accident scene, secure any video surveillance, speak and get statements from witnesses, and assess any property damage. He will be sure to use all the evidence he finds to fight hard for you. It's been shown in studies that hiring a Davie Slip and Fall Attorney can get you higher compensation than if you decide to take on your case by yourself. You shouldn't have to go through this ordeal on your own. Instead, hire the legal team from the Law Offices of Robert E. Gluck, P.A. to handle all of the details for you so you can just focus on healing your injuries.